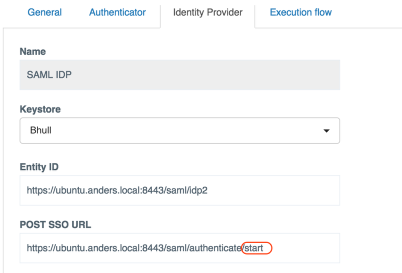 This document describes how to configure the system to redirect to different authentication methods based on the session authentication status. The typical use case for this is achieve Single-Sign-On for an already authenticated session. - Setup username/password authentication federation scenario using guide in Configuration Manager. We will modify the configuration of this authenticator in order to use it as the SSO authenticator, ie when the session is already authenticated. Also, for clarity, change the displayName to Single-Sign-On-Authenticator. - A person that knows the URL of the SSO authenticator can address it directly simply by entering the alias URL in a web browser. To prevent unauthorized users, the authenticator must fail if the session is not authenticated. Keep the web browser open. You should not be prompted to authenticate again. 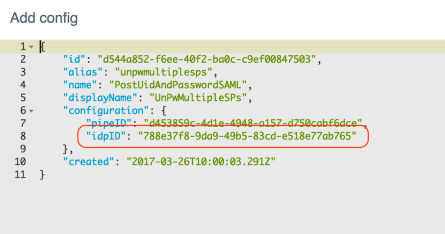 A SAML ticket should be created and sent to the service provider. Verify that a Failure message is presented.